In business school in 1998, I did a project on the ethics of coffee production and shed light on some of the sustainable practices that were being adopted. I got a “C” for being naive about scale. I may still deserve that judgement, but it’s been nice to see that sustainable practice has put a dent in socially & environmentally harmful coffee. When looking for beans to roast, quality is the most important factor but there are others that can make you feel better about what you’re drinking. Nowadays, it’s fairly easy to buy quality organic, shade-grown, fair trade coffee. I’ve been looking around at what is available in Boulder and came across Conscious Coffees. As their name implies, they care. They are one of 23 members of cooperative coffees an organization that partners with local farming communities where the coffee is grown. 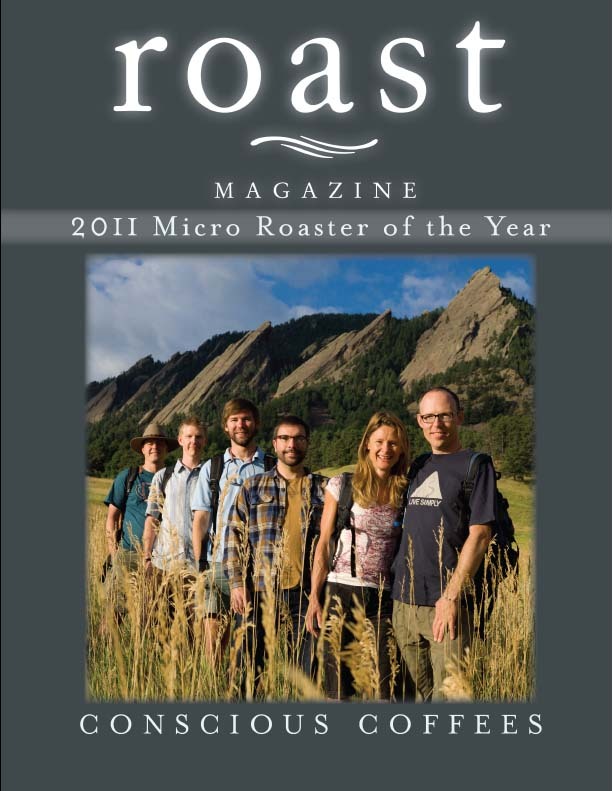 Aside from being good people, they apparently know what they’re doing in the roasting world, as they won Roaster of the Year this year from Roast magazine. They don’t do direct retail, but I have tried them at The Cup on Pearl St and they live up to their reputation. In terms of home roasting, I’ve been looking to see where you can order responsible green coffee beans and came across a few places. One that seems reasonable is the seven bridges cooperative site. I will also ask around as I visit some of the local roasters. If anyone knows of any good resources, please pass them along! What is the shelf life of green beans? I think it depends on how you’re storing them but it seems like 6 months is a safe amount of time. I’ve been thinking when we buy a house how fun it would be to have a “food & wine cellar” with all of the fun stuff I’ve been learning to make. You are currently reading Becoming a responsible coffee roaster at 52 To Do.